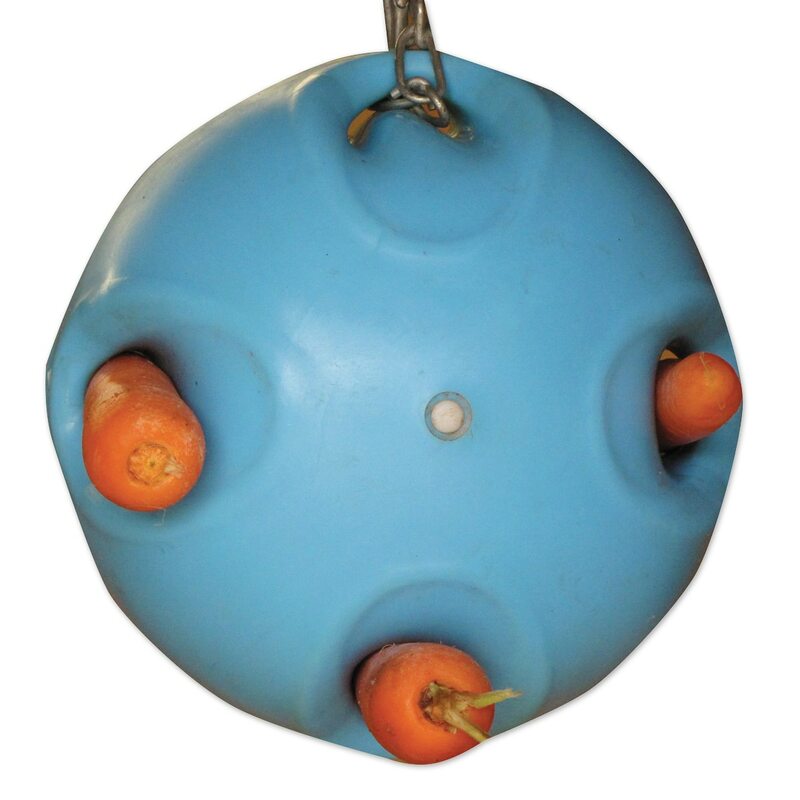 Load Carrot Ball with carrots, parsnips, turnip, apple, or anything your horse desires. Can be used in the paddock or hung in a stall. Designed to keep horses and ponies entertained for hours.